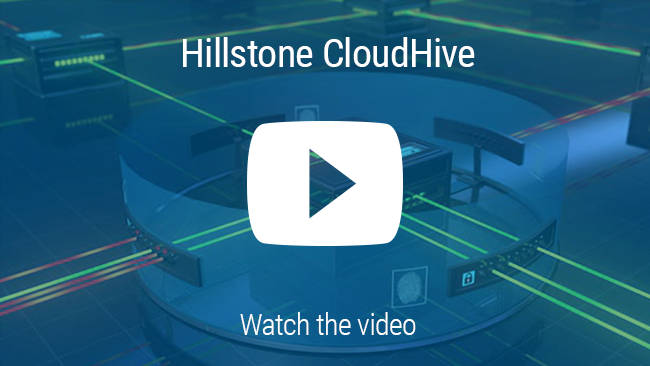 Hillstone CloudView is a cloud-based security management and analytics platform which provides SaaS security services across the Hillstone E-Series Next-Generation Firewalls (NGFW), T-Series Intelligent Next-Generation Firewalls (iNGFW), S-Series Network Intrusion Prevention System (NIPS), I-Series Server Breach Detection System (sBDS), and Hillstone Virtual NGFW CloudEdge. 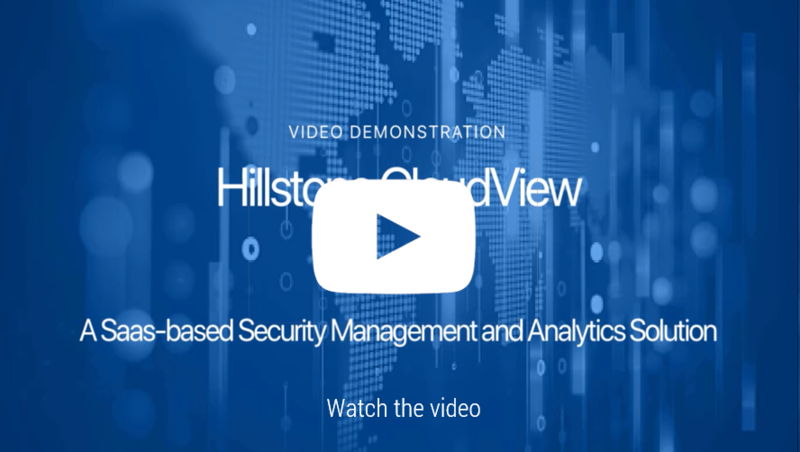 The Hillstone CloudView service empowers security administrators to take swift action with real-time centralized monitoring of multiple devices, traffic and threat analytics, real-time alarms, as well as comprehensive reporting and log retention. With the 24/7 mobile and web access from anywhere on any devices, it delivers optimal customer experience along with optimized security management and operational efficiency. The Hillstone E-1000 Series Next Generation Firewall (NGFW) provides comprehensive and granular visibility and control of applications. It can identify and prevent potential threats associated with high-risk applications while providing policy-based control over applications, users, and user-groups. Policies can be defined that guarantee bandwidth to mission-critical applications while restricting or blocking unauthorized or malicious applications. The Hillstone E-1000 Series NGFW incorporates comprehensive network security and advanced firewall features, provides superior price performance, excellent energy efficiency, and comprehensive threat prevention capability. The Hillstone E-2000 Series Next Generation Firewall (NGFW) provides comprehensive and granular visibility and control of applications. It can identify and prevent potential threats associated with high-risk applications while providing policy-based control over applications, users, and user-groups. Policies can be defined that guarantee bandwidth to mission-critical applications while restricting or blocking unauthorized or malicious applications. The Hillstone E-2000 Series NGFW incorporates comprehensive network security and advanced firewall features, provides superior price performance, excellent energy efficiency, and comprehensive threat prevention capability. The Hillstone E-3000 Series Next Generation Firewall (NGFW) provides comprehensive and granular visibility and control of applications. It can identify and prevent potential threats associated with high-risk applications while providing policy-based control over applications, users, and user-groups. Policies can be defined that guarantee bandwidth to mission-critical applications while restricting or blocking unauthorized or malicious applications. The Hillstone E-3000 Series NGFW incorporates comprehensive network security and advanced firewall features, provides superior price performance, excellent energy efficiency, and comprehensive threat prevention capability. The Hillstone E-5000 Series Next Generation Firewall (NGFW) provides comprehensive and granular visibility and control of applications. It can identify and prevent potential threats associated with high-risk applications while providing policy-based control over applications, users, and user-groups. Policies can be defined that guarantee bandwidth to mission-critical applications while restricting or blocking unauthorized or malicious applications. The Hillstone E-5000 Series NGFW incorporates comprehensive network security and advanced firewall features, provides superior price performance, excellent energy efficiency, and comprehensive threat prevention capability. 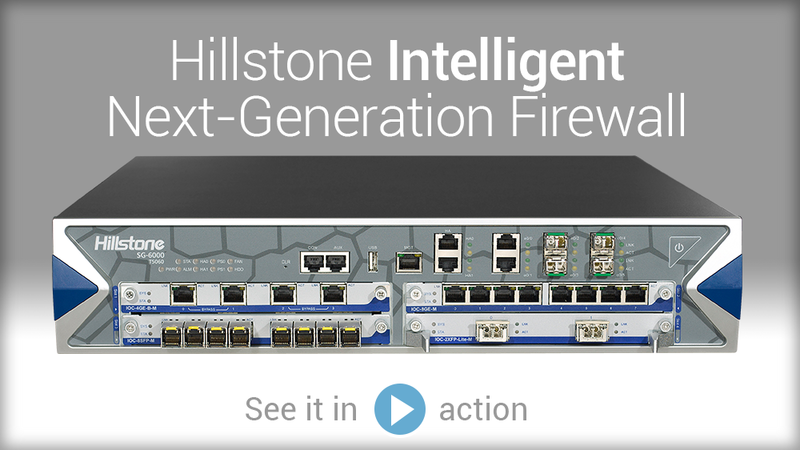 The Hillstone E-16000 Series Next Generation Firewall (NGFW) provides comprehensive and granular visibility and control of applications. It can identify and prevent potential threats associated with high-risk applications while providing policy-based control over applications, users, and user-groups. Policies can be defined that guarantee bandwidth to mission-critical applications while restricting or blocking unauthorized or malicious applications. 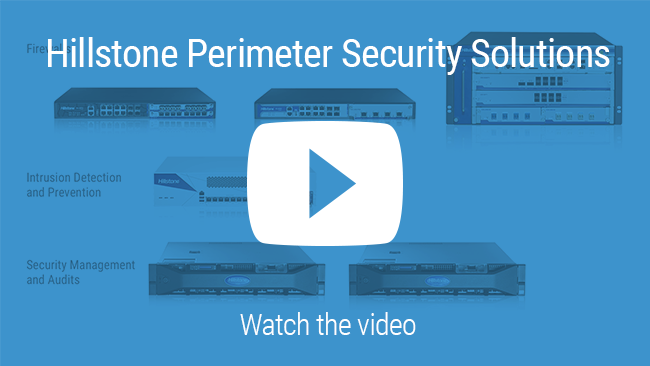 The Hillstone E-6000 Series NGFW incorporates comprehensive network security and advanced firewall features, provides superior price performance, excellent energy efficiency, and comprehensive threat prevention capability. As the threat landscape continues to evolve aggressively, an increasing number of network protection technologies have quickly emerged. Among these various technologies, Intrusion Prevention System (IPS) remains one of the most widely deployed solutions, regardless of platform or form factor. 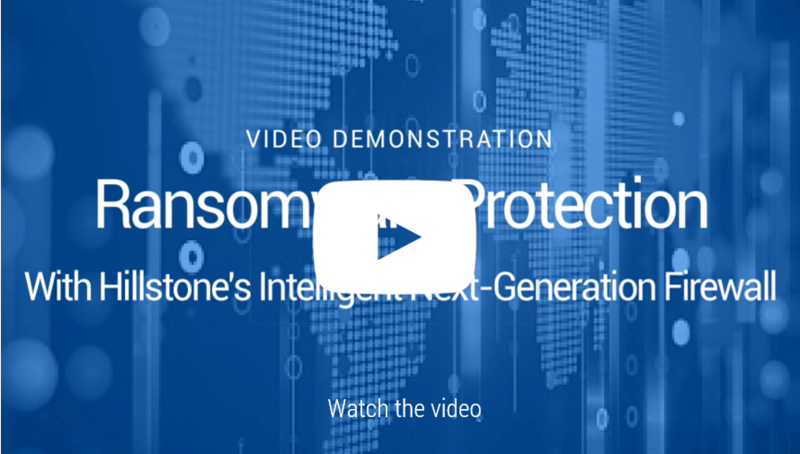 Hillstone E-Series next generation firewalls provide visibility and control of web applications regardless of port, protocol, or evasive action. It can identify and prevent potential threats associated with high-risk applications while providing policy-based control over applications, users, and user-groups. 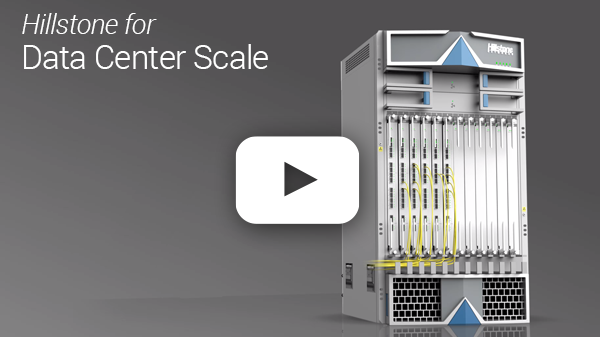 The Hillstone X7180 Data Center Firewall offers outstanding performance, reliability, and scalability, for high-speed service providers, large enterprises and carrier networks. It provides flexible firewall security for multi-tenant cloud-based security-as-a-service environments. 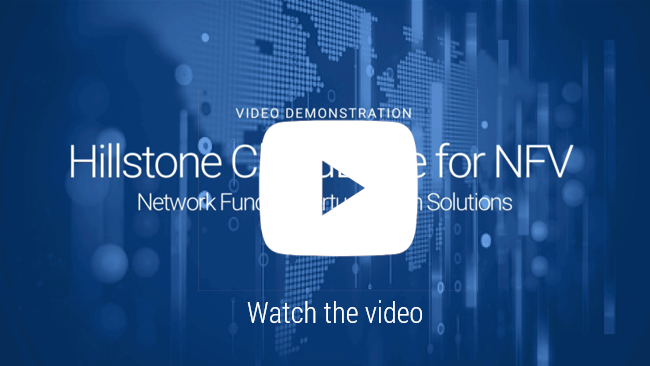 Hillstone Networks has been included in the Gartner Market Guide for Network Traffic Analysis for its Network Traffic Analysis (NTA) solution. 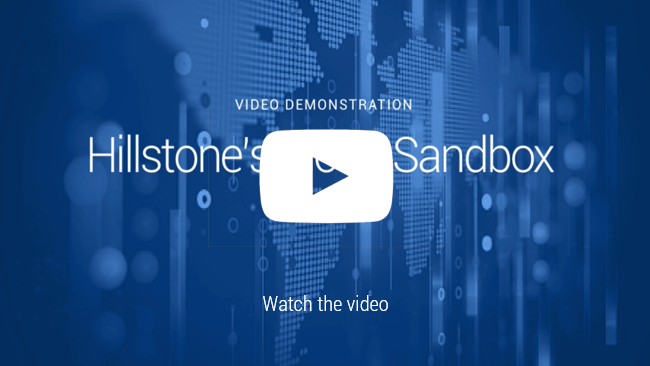 This inclusion is a testament to Hillstone’s vision in delivering security that works, as well as its breadth of reach in the market. The combination of stealthy attacks, increasing damage and security talent shortages is the reason organizations increasingly seek tools and strategies to both block new attacks at the perimeter and detect and eradicate the ones that make into the network before they can do their damage. To address this looming threat in cybersecurity, the Hillstone NTA solution employs artificial intelligence (AI), machine learning (ML) and behavioral analytics across multiple sources, including continually updated threat intelligence, to detect, analyze and eradicate today’s newest, most sophisticated multi-pronged threats quickly and efficiently. It is based on the most advanced techniques in machine learning and behavioral analytics. These techniques include Abnormal Behavior Detection (ABD), Advanced Threat Detection (ATD), Complete Kill Chain Mapping (CKCM), combined with threat correlation and analysis. 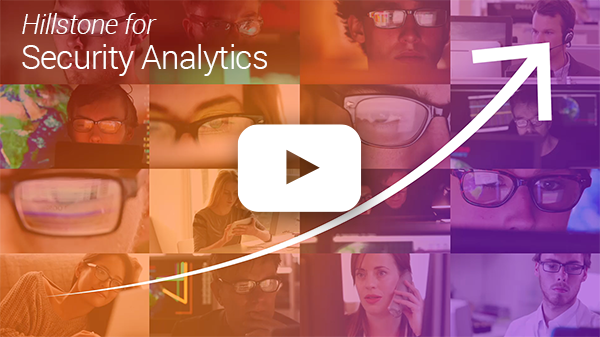 As a platform, the Hillstone strategy moves past the typical security analytics to actionable analytics that allows for actual decision making. It empowers and enables the business to see, understand, and act on their security posture. IT teams today find themselves in a post-breach world where the edge is both an opportunity and a threat. Networking teams are faced with requirements to quickly stand up new sites in diverse locations, provision bandwidth at those sites costeffectively, and ensure that the network is more reliable than before. At the same time, new threats, innovative malware, intelligent phishing attacks, and disparate insecure IoT devices put pressure on security teams to ensure improved visibility, compliance, and protection at the edge. 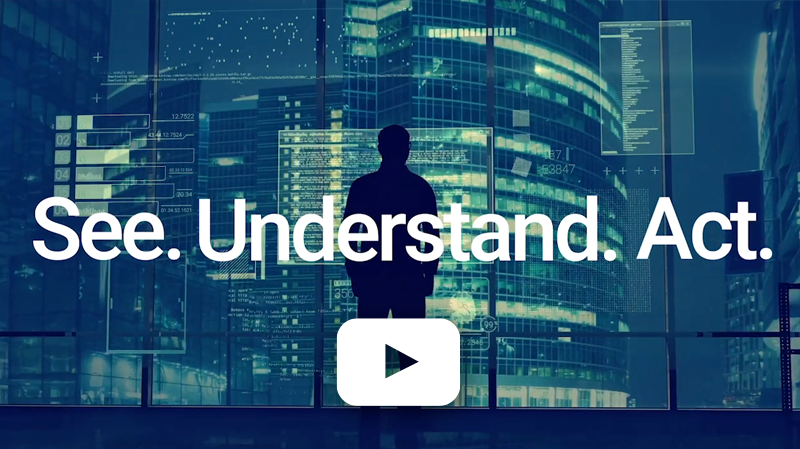 The software-defined wide area network (SD-WAN) is a new solution platform that promises to solve all these problems, but the key to success is picking the right SD-WAN solution. 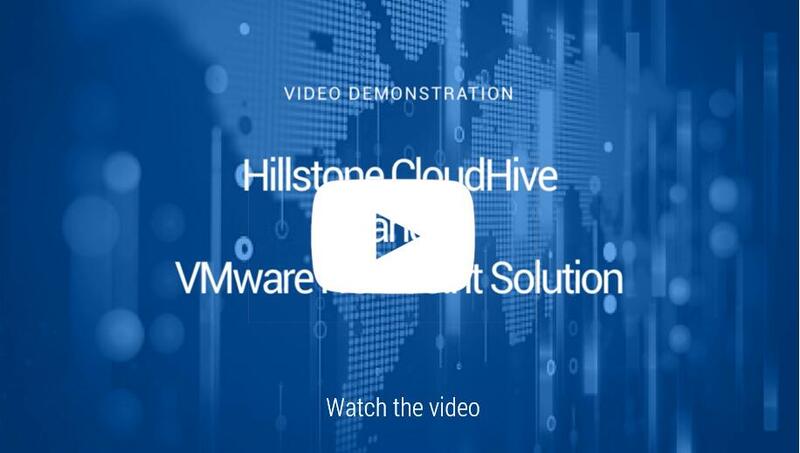 Hillstone’s CloudHIve integrates tightly with VMware’s NSX and SDDC to provide the visibility, automation, scalability and comprehensive L1-7 security at the virtual level needed to identify and remediate today’s advanced SDDC breaches and attacks. Thanks to CloudHive and VMware SDDC, organizations can reap all the business advantages of the software defined data center without exposing themselves to additional business risk. On Black Friday 2016, a powerful ransomware attack slammed San Francisco’s Muni light rail system, threatening to destroy more than 30GB of critical database, email, staff training, payroll, ticketing and other system data, unless Muni paid perpetrators 100 Bitcoin (worth roughly $70,000). Muni refused, throwing its ticketing system offline for two days, and forcing the agency to absorb thousands of free passenger rides. Today’s cyber attackers have become ever more sophisticated, using targeted, persistent, stealthy and multi-phased attacks in order to avoid detection at network perimeters through traditional security measures. The landscape for enterprise IT has changed in the new era; internet access has become more and more sophisticated. For many enterprises, a fast and robust network has become a basic working condition. The manner in which employees use the network and their satisfaction levels have also changed dramatically. Cyber-security has gone from a niche IT issue to a boardroom priority. Senior executives and boards of directors are no longer complacent about the risks posed by data breaches and cyber attacks. They know that a breach of confidential information can damage brand or reputation, trigger class-action lawsuits and cause costly downtime. They also know that data breaches are thrusting organizations into the media spotlight, as new regulations require public disclosure of security breaches – especially if cardholder data or personally identifiable information is exposed. 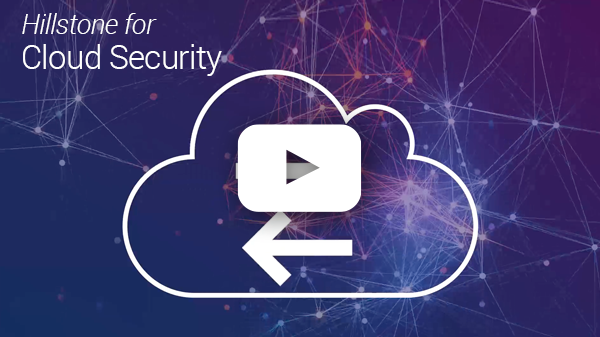 As cybercriminals get more advanced and the cloud becomes an extension of the network, protecting IT assets becomes more difficult—and more important. Intelligent Next-Generation Firewalls (iNGFW) can address advanced threats and shift the protection paradigm. If your organization is connected to the Internet, it’s vulnerable to attack. The days of staving off Internet security hazards with traditional firewall, intrusion prevention, and antivirus systems have passed. This paper discusses the advantages of Hillstone’s Intelligent Next-Generation firewall technology. This paper describes the Abnormal Behavior Analysis capability of the Hillstone Intelligent Next-Generation Firewall (iNGFW) product. This technology offers a cutting-edge method of detecting unknown threats by analyzing user and server traffic, tracking a myriad of traffic parameters, and correlating and comparing the gathered data to limit risk and reveal potential new threats. Over a period of system learning, each tracked parameter generates a baseline, as well as high and low thresholds. Subsequent behavior patterns violating these thresholds are deemed abnormal and the system generates a threat warning. 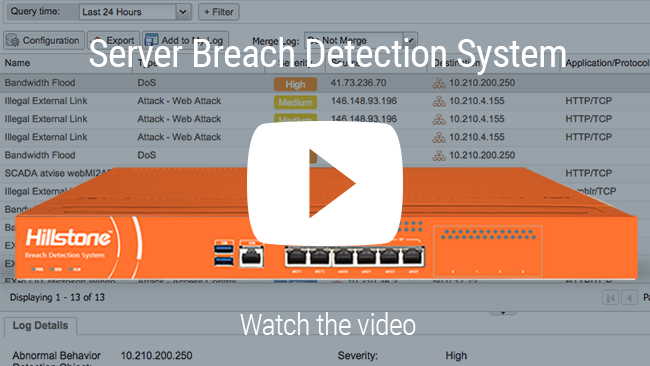 The correlation of time, parameters exhibiting abnormal behavior, and system warnings enable you to recognize and prevent potential new threats in advance of them impacting your network operation or applications. The customer is an Energy Company that holds a monopoly on electricity transmission and distribution in LATAM. It operates the national transmission grid, composed of 27,000 miles of high voltage lines, 28,000 miles of medium voltage lines, and 370,000 miles of low voltage distribution lines. The Regional Government of the Amazon is a legal public entity in Peru, with administrative, political and economic autonomy. Its mission is to work for the economic development of the region through the efficient management of financial, human and material resources. They achieve this through initiatives in the public and private sector, as well as the civil society. One of the largest Internet Service Providers (ISP) in Colombia, this Hillstone customer has been in business for more than ten years in the market with a national operation. The ISP is a market leader in the country, managing connectivity for more than 100 municipalities, approximately 3600 corporate clients, as well as managing operations for 145,000 customers. FEDCO was founded in 1979 in Barranquilla, Colombia. In 1990, taking full advantage of the economic growth, FEDCO reorganized the company from the bottom, professionalized its operations and began opening stores in intermediate cities, ultimately transforming the brand through much effort and dedication into a national chain leader in imported goods. Over the years, FEDCO has grown to 35 exclusive stores in the top 13 cities in Colombia. It also has a virtual store with national coverage across more than 690 delivery destinations. In addition, FEDCO has created a wholesale business unit, with products imported from the United States, Europe and Latin America, acting as distributor and exclusive representative of top multi-national companies and retail stores. The Purmerendse Schools Group (PSG) provides a wide range of education and training courses in secondary education for the Waterland region, in the Netherlands. It consists of six schools with an active enrollment of approximately 4000 students. The schools provide public or special education, and each location uses a diverse pedagogical-didactic approach. MHNet Telecom was originally founded in 2002, in the city of Maravilha, in the west of Santa Catarina, Brazil, with the goal of becoming the first internet service provider for the region. Today, MHNet has become one of the pioneers in building a fiber optic network in the region, offering solutions in digital radio, fiber optics, IP telephony and cable TV, and providing residential and business Internet, web site hosting, corporate intranet and VPN services. The integrated solution from Hillstone and Array addresses the challenges faced by the university. 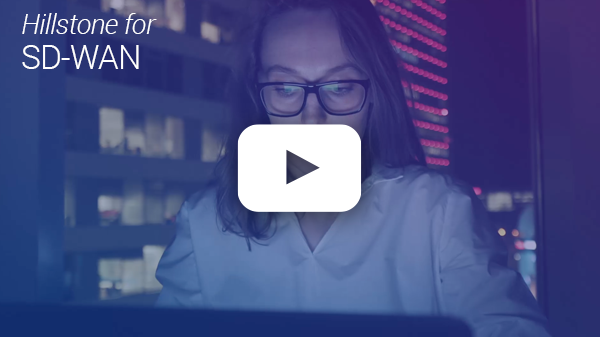 A network function virtualization solution that meets all the requirements without performance compromise is now helping the campus deliver on their mission and serve their staff and students in a timely and secure way. The Tier-1 internet service provider is a global leading telecommunication company, offering extensive information technology services. It provides comprehensive solutions across a wide range of services including landline to mobile, narrowband to wideband, personal demand to industrial information, among others. It operates both a 3G wireless broadband network and a 4G-LTE network simultaneously, bringing voice and data services to millions of retail and enterprise customers. LinkTime, a fast growing high-tech startup, is focused on developing big data, cloud computing and mobile application technology, and to that end, provides a big data analysis platform to software developers and enterprises. LinkTime has research and development centers in both the US and China. Deployed in a dynamic startup environment, their servers and applications run in the cloud in their respective public cloud platforms. In China, the team uses Alibaba Cloud (Alicloud), which is the largest public cloud platform, and in the China market, its performance has been measured to be superior over AWS and Azure. In the US, LinkTime uses Amazon Web Services (AWS). Founded in 1985, Dubai International School is located in the heart of Dubai and situated in the Al Garhood area. Together with its branch in Bur-Dubai (Nad Al-Sheba area), the school serves the most populated areas in Dubai and the Northern Emirates. The IT team at Macau McDonald’s manages a data center that supports thirty McDonald’s restaurants across Macau and two nearby cities, ZhuHai and ZhongShan, using routers for site-to-site VPN tunneling to provide services to their employees. The team manages the day-to-day operations that keep McDonalds a popular destination for both residents, as well as tourists. The data center is comprised of core business systems and applications that include HR, ordering and supply chain management. The IT team’s mandate is to have a secure network connection for the employees in order to conduct business. Not having secure access would mean that business transactions would be at risk, thereby impacting not only productivity, but also sales and revenue. In addition, the IT team requires full visibility into the network traffic, application and user information. Having this visibility ensures control of the network and its security. The University of Córdoba is one of the top public colleges in Colombia. It offers a broad range of undergraduate programs underpinned by world-class research, including the field of basic sciences, associated agro-industrial production, engineering, social sciences, social, education and health. It has more than 12,000 students, supported by more than 550 academic staff. Peking University is one of China’s most prestigious universities, located in Beijing. Founded as the Imperial University of Peking in 1898, it is the first modern national university established in China. The university consists of 30 colleges and 12 departments, with approximately 35,950 students and 6441 staff. A large provincial government who runs a private cloud with over 30 servers and over 300 virtual machines running VMWare ESXi 5.5 and 6.0. The cloud platform primarily provides web hosting and e-government services to its 50 plus subsidiary government departments located in disparate places. China Network Television (CNTV) is a national web-based TV broadcaster in China. With a network of over 45 channels broadcasting various programs, it is accessible to more than one billion viewers across China. CNTV programs include news, documentaries, entertainment as well as dramas. Operationally, CNTV engages in online broadcasting and video program production, media system research and development, live broadcasts of the nation’s major events, as well as services such as running public opinion monitoring systems. The IT team at CNTV must ensure that services are always up and running and that the billion viewers are satisfied with the service levels provided. Garratt-Callahan Company’s business was growing and it needed to accelerate the company’s network performance as well as resolve legacy environment Quality of Service (QoS) challenges. 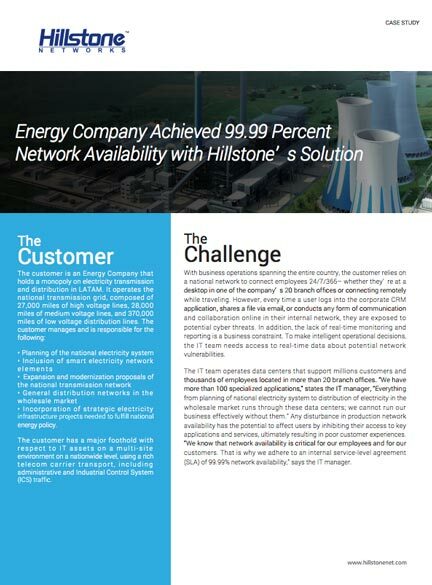 After deploying Hillstone’s Next-Generation Firewall, Garratt-Callahan was able to reduce network connection times from several minutes to mere seconds, vastly improving employee productivity and client service levels.